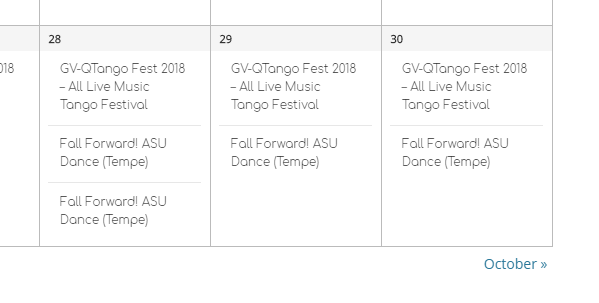 Recurring events / times and other issues incorrect when published. So sorry for the delay here – I tested this out on my end, but I was not able to recreate this issue locally…the times were showing up correctly on my end. You mentioned that your timezone settings are correct – can you double check that you are using the Location timezone instead of the UTC offset timezone under Settings > General > Timezone? I would also recommend reviewing this article regarding timezones, just to double check your settings, as timezone discrepancies are a common source of event times displaying incorrectly. You can use a plugin like Health Check to help speed up this process, and if you don’t have a staging site already, the free Duplicator or WP Staging plugins can help you get one set up. Thanks for checking that! Please let me know if you continue to run into issues with this. I’ve seen this issue and have been able to duplicate it in a clean test environment. There were changes made in the TEC Pro version 4.4.31 related to recurrences. It’s at the very top of the release notes. Rolling back to version TEC Pro version 4.4.30 resolves the issue. Here’s a tutorial on how to revert to a previous version in four simple steps. Following the tutorial, you will not loose your events when deactivating, deleting and then installing the older plugin. As it mentions in Step 1, it is recommended to back things up. The most important thing to backup is your database. It’s always a good precaution. As for what loss of benefits you will miss by reverting, look at it this way. If you weren’t having an issue before the update, then your not missing anything. If you look at the release notes for each update and spot something that looks of interest, then you would be missing that particular fix. You have to weigh your options when there’s an issue with an update. “Can I live with it until they fix the update?” or roll-back to a previous version and wait for the update. As for when will it be fixed? I cannot speak to that. It up to the development staff. They first need to acknowledge and reproduce the issue. So far I have not been able to replicate this on my end – can you please share a screenshot of the settings that you had under Events > Settings > General & Events > Settings > Display along with a screenshot of the rules that you were using when you were able to replicate this? Once I can recreate it on my end, then I can log it for our developers to take a look at. I’ve posted a video reproducing the issue. It’s in this ticket. Krystyna, I’ve linked your thread to our internal ticket for this, so as soon as we have an update on this, we’ll let you know here. I apologize for the inconvenience that this is causing, and thank you for your patience as we work on getting this resolved! 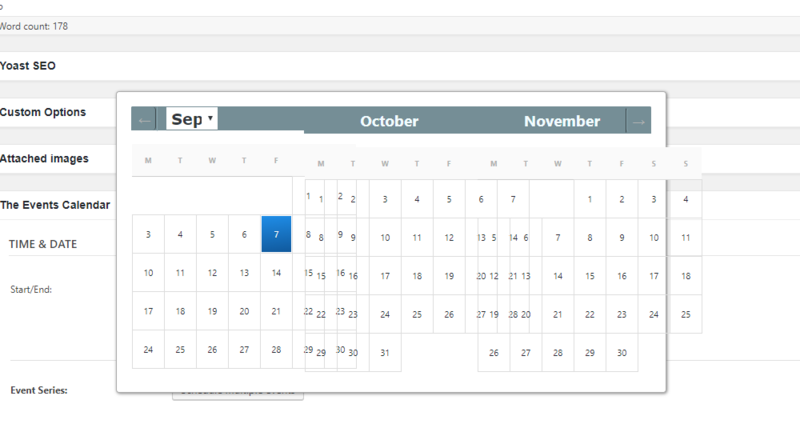 Krystyna, quick update here – this issue with the date picker has been confirmed and logged. As with the other issues, I’ve linked your thread to it, so we’ll update you here soon. Please accept my sincere apologies for the issues here! We are working hard to get them resolved and release fixes as quickly as we can. Just wanted to share with you that a new release of our plugins is out, including a fix for the “Once” recurring issue. After testing, the issue is still present. According to another team member, this issue was not addressed in the release today. Yes, not fixed. I went to our Nov 11 post Bolshoi Ballet in Cinema that had a lot of ‘once’ recurrences. I hit update to see if it would show the recurrences this time. It went to a white php page and I had to exit the tab. I reopened the url and did not see the recurrences. Tried twice. White screen each time. Thanks for following up with this. I have checked and it seems this thread has also been linked to another bug report for the ONCE recurring events issue, which seems to be already scheduled to be included in our next maintenance release cycle. We’ll let you know once a fix is released for that. A new release of our plugins is out, including a fix for the duplicated “Once” recurrences issue. 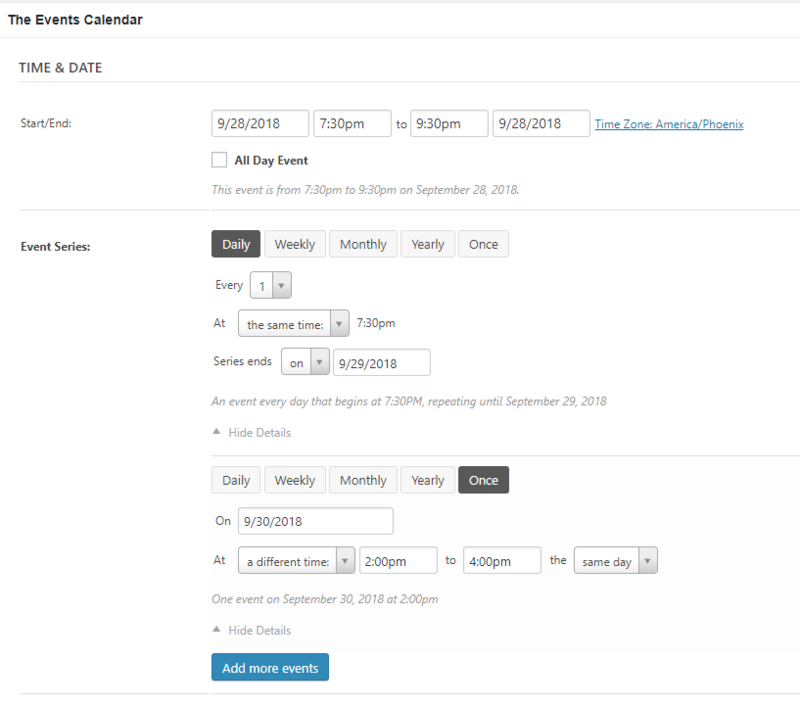 Hello – I updated both Events Calendar plugins. I went to the one event where I used ONCE (Bolshoi at the Cinemas) on Nov 11, and there were ONCE events in December and so on. I did enter a ‘link’ for the event on NOv 11 and hit UPDATE. I received an ERROR 500 message. I hit the back arrow and it went to POSTS (not EVENT CALENDAR). 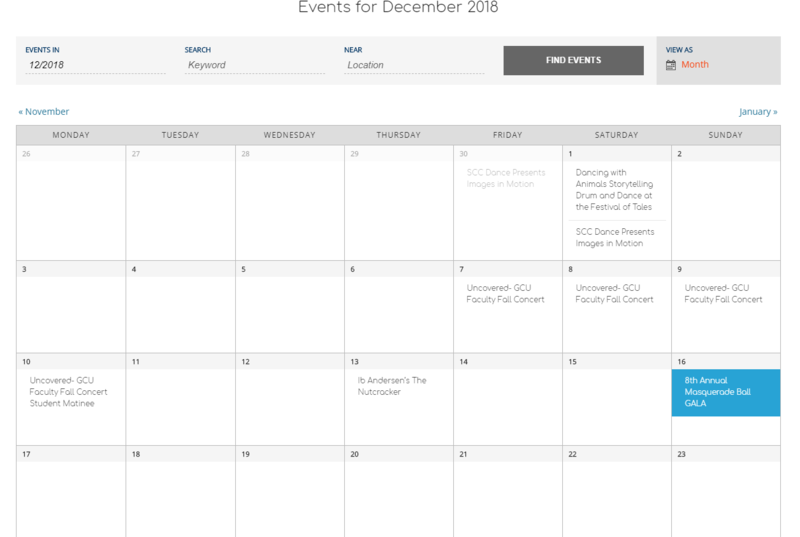 I viewed the updated post and it did accept the ‘link,’ but there are no additional events in Dec and so on. We tried! I’m sorry that you’re running into further issues here…Can you please clarify what you mean by entering a link on the November 11th event? When you came back to the event you updated, it sounds like you were not seeing a duplicate – were the additional events that you had created using the “Once” rule no longer there? If this is the case, can you try creating a fresh series for this event using the same “Once” rules, saving, and updating the event to see if you are running into issues with the new series? Hi, I entered a ‘link’ in the box that asks for the event link – below description. That should not have affected anything, and it did show up in the post after I updated. So that worked. I had already entered all the ONCE events in that post. They just are not showing up, even after I updated the two Event Calendar plugins this morning. Unfortunately if you had entered the rules before the update, they are no longer there…the bug that existed previously was not saving these rules when updating the event, so there isn’t a way now to bring them back. I’m sorry for the inconvenience that this caused! Are you still seeing the “Once” rules on the edit event page? If not, then you will need to re-enter them. Once you see them there and hit update, you should still see them after the page refreshes. Can you give this a try and let me know if this is what you’re seeing? 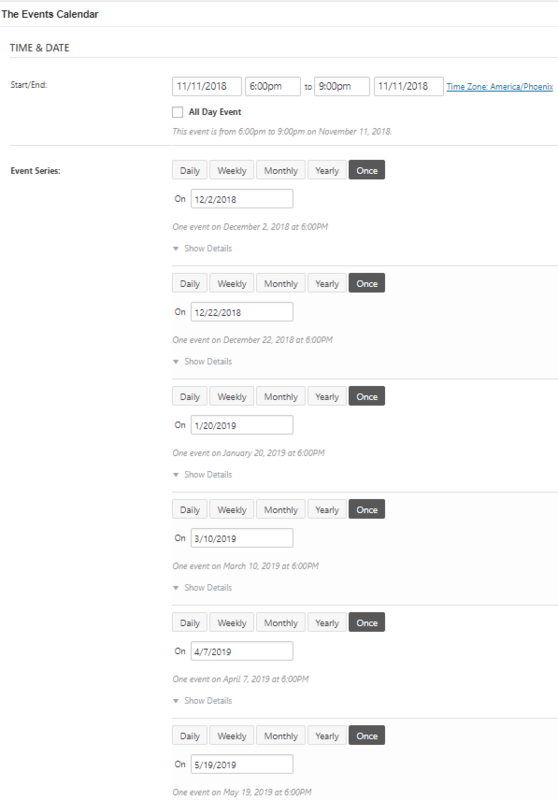 I am referring to the “Once” occurrences when I say rules; each time you click “Add more events” and set up another occurrence, you are creating a new rule (see screenshot) – sorry for the confusion there! When you add these and hit “Update”, the occurrences that you addded should still be there when the page refreshes. If you added these previously and lost them due to this bug, you will need to re-add them. If you are missing occurrences on a recurring event, can you try adding them again, clicking “Update”, and see if they are still there when the page refreshes? If not, can you try creating a brand new series with “Once” occurrences and see if you are able to update that event without losing the “Once” occurrences? If you didn’t clear out the cache within WP Super Cache after updating, please make sure to do so before testing this out. Hello, I just re-added the ONCE event that was not working. Nov 11 Bolshoi at the Cinema. Before, ‘updating’ did not fix the ONCE occurrence. I deleted the post, and re-entered all the information. After UPDATE, I received a 500 ERROR message and the back arrow takes me to the ‘old’ version of POSTS (before The Events Calendar). I checked the monthly view and found the Nov post, but none of the others. 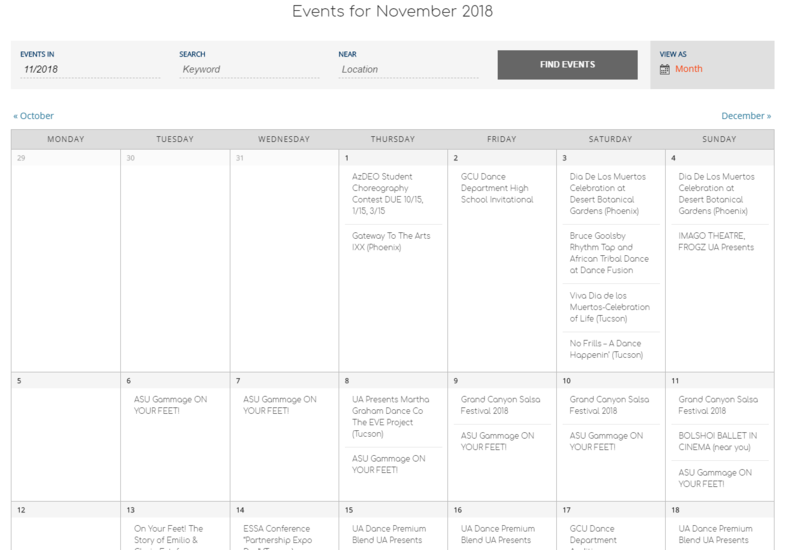 Am including screen shots of Nov-Dec monthly calendar, and all the ONCE occurrences in the ‘add event’ section. Not sure what you fixed, but it is still not working for us. Hmmm … did not clear out WP Super Cache (as I’m reading your last response). Will see how to do that. OK… the cache clears regularly. Just now I went to view the Nov post and it does show the ‘recurring’ events when you ‘mouse over’ (See all) right under the heading – date/time line. So it kept the information for that function. It just doesn’t show up on the monthly calendar. I just checked under ‘weekly’ view and it didn’t show the Bolshoi events. HELP! The topic ‘Recurring events / times and other issues incorrect when published.’ is closed to new replies.